Children deserve safe products. Parents deserve simple, natural choices. Ecopacifier offers parents a solution to conventional pacifiers. 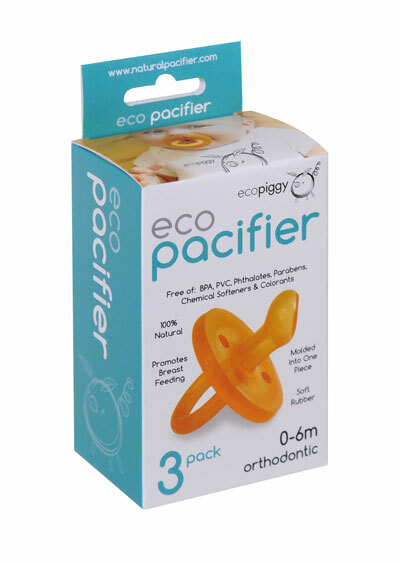 Say “goodbye” to the icky pacifiers of yesterday, and “hello” to Ecopacifier, the 100% natural choice! 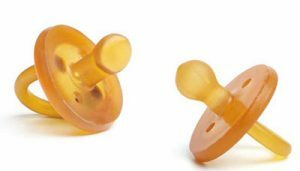 Ecopacifier is made WITHOUT the use of chemical softeners (used in silicone pacifiers) or colorants (used in plastic and silicone pacifiers). 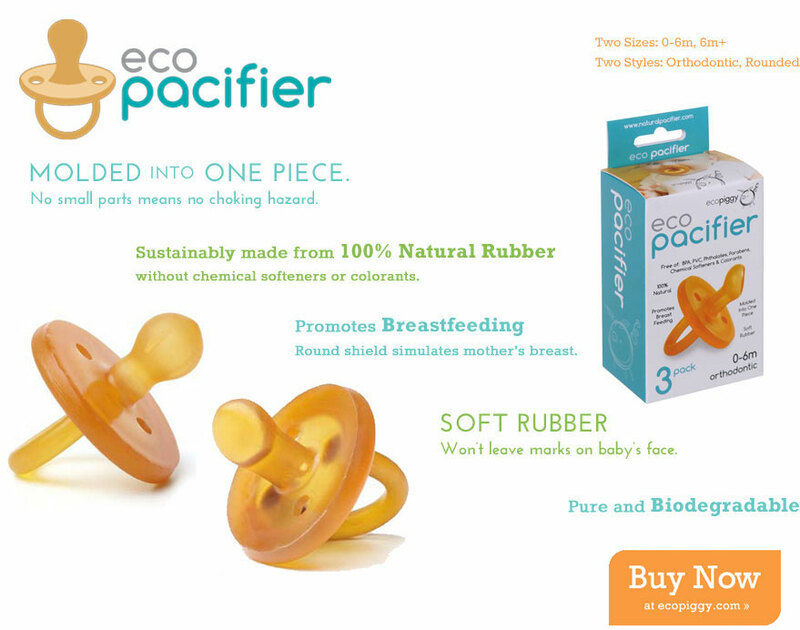 Ecopacifier offers two sizes, in two styles. All are BPA-free, PVC-free, Paraben-free, and Phthalate-free. The soft and flat design allows for free movement of the lip and mouth musculature for active and intense activity. Two large vent holes in the shield prevent adhesion & reddening of the skin by its prolonged contact with saliva or skin rashes around the mouth.